All proceeds will benefit the Ceres Community Project. Stunningly soulful and angelic, Adey Bell’s repertoire of deliciously composed originals make her impossible to classify. Her transcendental, relevant art has the depth and realness of your most complex and vivid dreams. 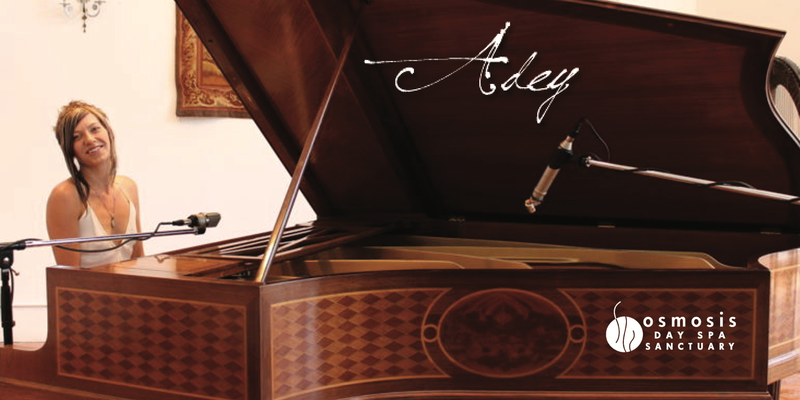 The multi-talented Adey Bell is a vocalist, pianist, film composer and actor. She is often compared to solo female virtuosos such as Tori Amos and Joni Mitchell, Kate Bush, Fiona Apple and Sarah McLachlan. Join us in the Osmosis Meditation Garden for an unforgettable, soul-stirring performance by a this quickly rising star. Catch her while you can before she gets too big for an intimate venue like this! Tickets are all-inclusive with dinner from Ceres Community Project, Wine, and Cedar Enzyme Footbaths.